There are many questions I’d like to ask animals. In the case of the red pandas who live at the Detroit Zoo, one question would have to do with their newly expanded and renovated digs. 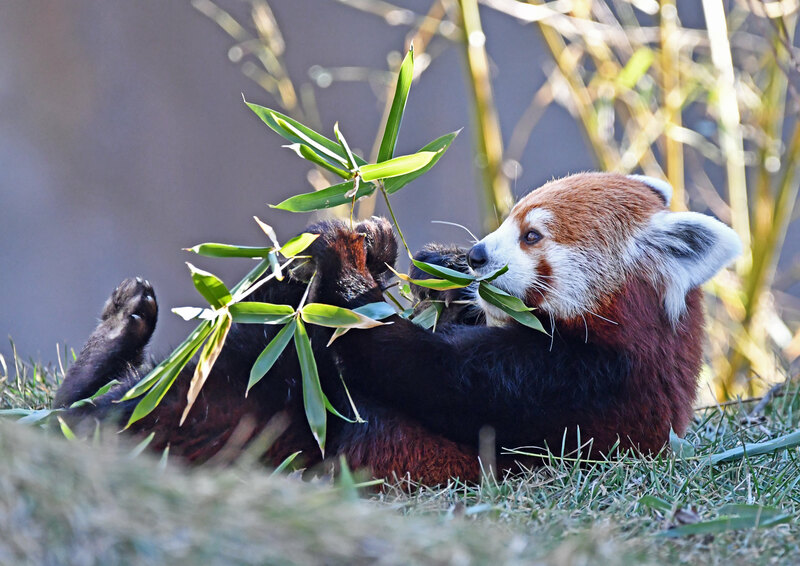 Ash, Ravi and Ta-shi have moved into the Holtzman Wildlife Foundation Red Panda Forest, where so much work has been done to ensure they will enjoy this wonderful habitat. It would be nice if we could channel our internal Dr. Doolittle and simply ask them what they think, but what would be the fun in that? Since we don’t share a common language with red pandas, our challenge is to figure out what they are telling us using means other than traditional human communication. To determine the impact of the Red Panda Forest on the well-being of the three red pandas, Detroit Zoological Society staff are conducting behavioral observations on each one of them as they explore their home. 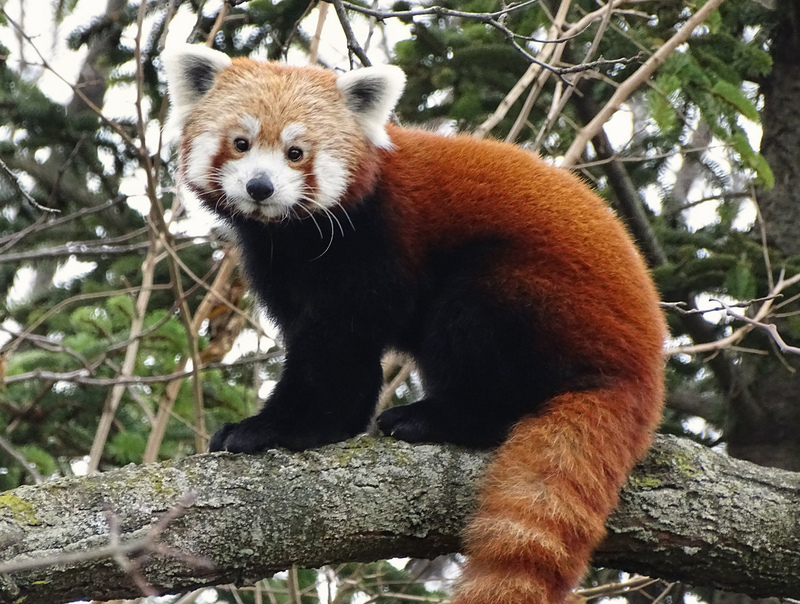 Red pandas are endangered and native to Asia’s high-altitude temperate forests. With 50 percent of their natural range in the eastern Himalayas, they are well-suited to the cold temperatures and snow we experience in Michigan. 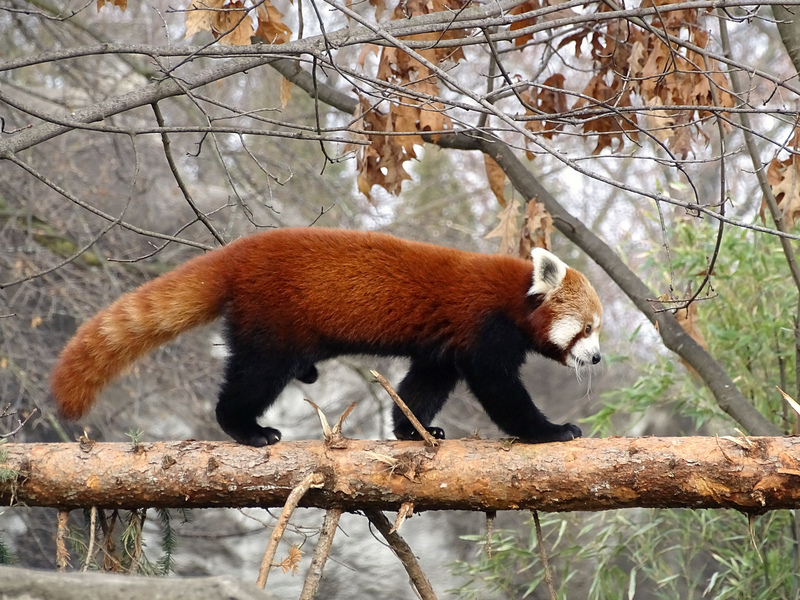 Red pandas use their long, bushy tails for both balance (as they traverse tree canopies) and protection from the elements. Although they are a carnivore species, they are actually leaf-eaters, with bamboo comprising the primary component of their diet in the wild. They are also crepuscular, meaning they are most active early in the morning and later in the day, with their natural breeding season during the late winter months. 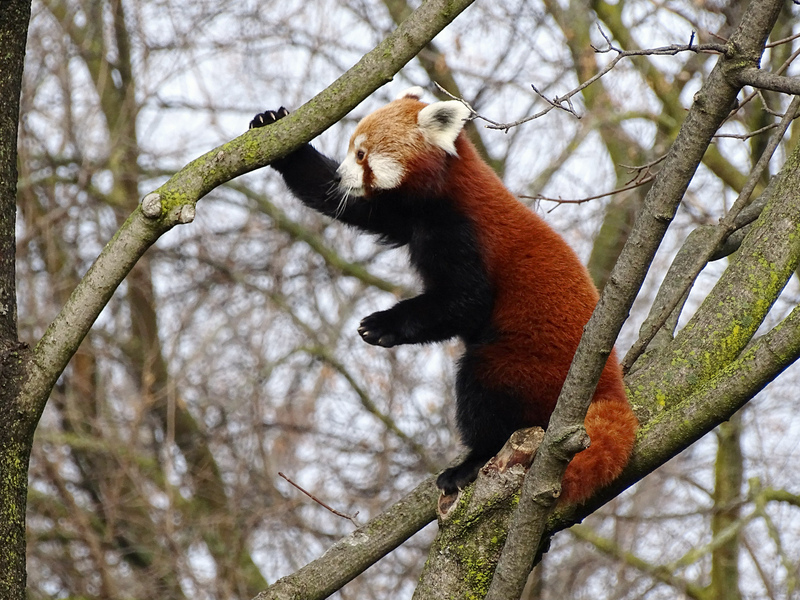 Detroit Zoological Society staff have been caring for red pandas for several decades. 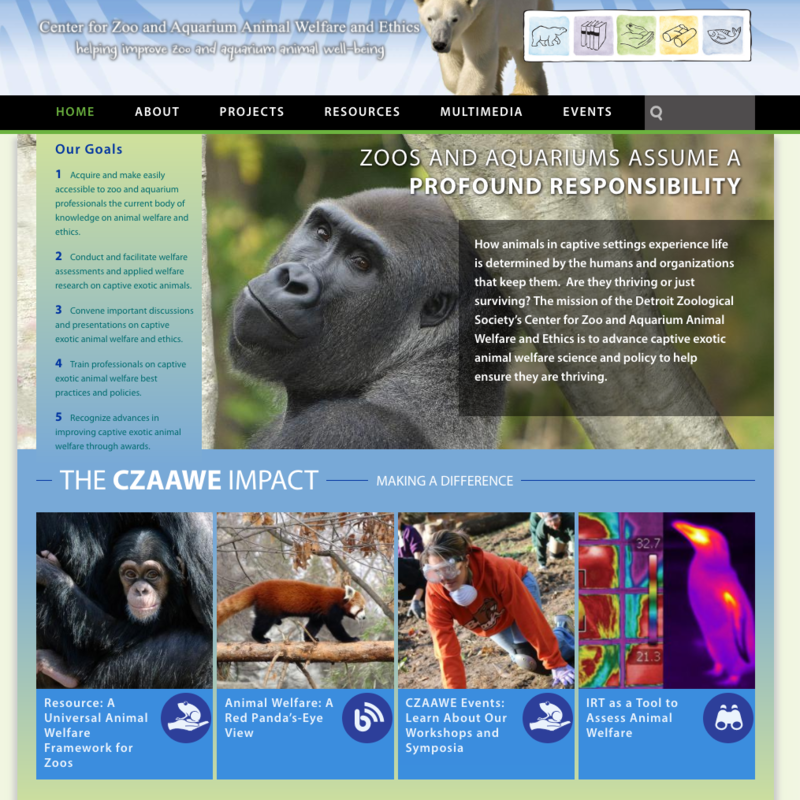 This experience proved invaluable when designing the new features in their habitat. The Red Panda Forest incorporates tall, natural trees to create a complex arboreal pathway, as well as a flowing stream and misting areas. One of the really cool aspects of the habitat is the suspension bridge that brings us eye-level with the pandas when they are in the tree canopy. Not only does this offer us a great view of the pandas, but it will also allow us to gain a better understanding of what they are experiencing. What does the world look and sound like from that height? Part of promoting good welfare for an animal is to be sensitive to their perception of the word around them. We look forward to uncovering how the three red pandas use their new habitat, including how each one differs in their behavior and preferences. Knowing this enables us to create opportunities for each of them to thrive. 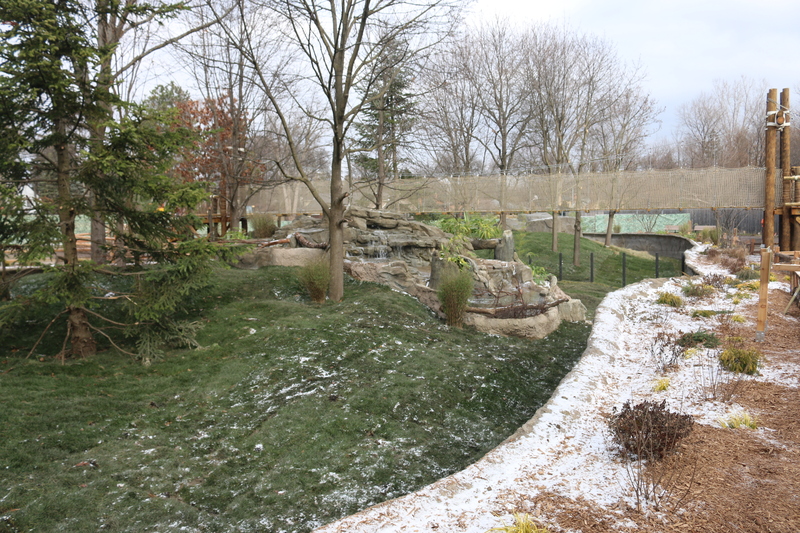 We hope you check out the Holtzman Wildlife Foundation Red Panda Forest during your next visit to the Detroit Zoo and see this incredible new space for yourself. What sounds do you hear when you wake up? I sometimes hear my dog gently urging me to get out of bed. Sometimes I hear a car alarm, which is less pleasant. What do feel when you wake up? For me, it’s my toasty warm sheets and if I’m lucky, I can reach my hand out and pet my dog on the head. What do you smell? What do you see? What about during the day, or at the end of the day? We experience sensations all the time, even when we aren’t awake to realize it. What do those sensations mean to you and how do they affect how you behave? Animals experience all of the things we do, but not necessarily in the same way. 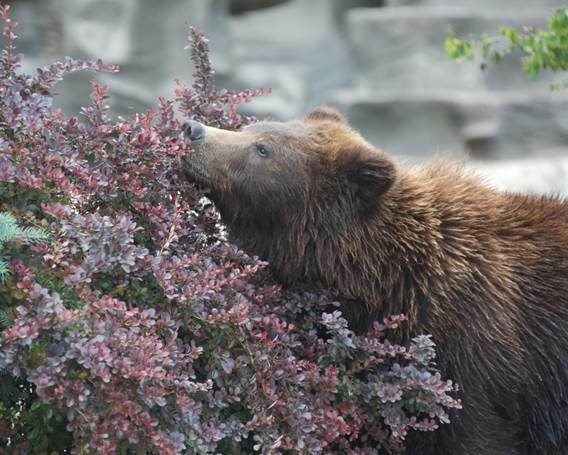 For example, depending on how their sensory systems function, they may smell things much more strongly than we do. A dog’s sense of smell is approximately 40 times stronger than ours. This means what odors we notice may be negligible compared to what they do. While humans typically rely on their eyesight as their primary sense, many animals see differently than we do. Birds and reptiles can see in the ultraviolet range. Raptors can see much further than we can, and some animals see more of what’s around them due to the placement of their eyes. Some animals, such as pit vipers, sense things using infrared sensors, which allows them to find their prey using heat signals. All of this means that animals experience the world very differently than we do, and this can impact their welfare. 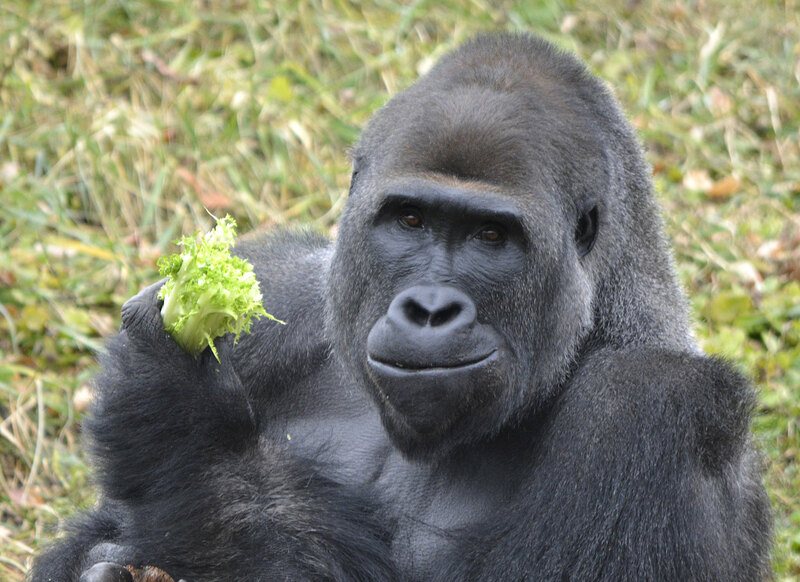 The senses of animals are essential for every aspect of their daily lives, from finding food and shelter to recognizing others as friend or foe. If we are concerned about the well-being of animals, we must be aware of how they experience the world around them. We must also be considerate of how our actions can affect their perception. Animals living in their natural habitat are becoming more vulnerable to our actions, from birds colliding with buildings that are lit up at night, to frogs who have to compete with man-made noises to hear one another. When it comes to animals living in the care of humans, this can also prove to be a challenge. We don’t know enough about how other species perceive their world, but we use the knowledge we do have to make the best possible decisions. 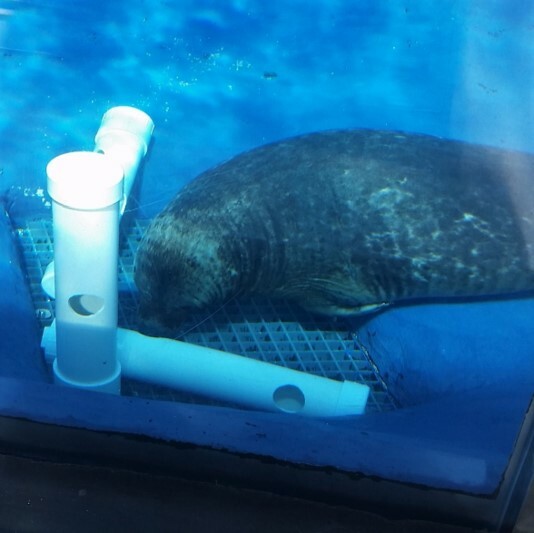 For animals living in zoos and aquariums, we have a lot to consider. Ultimately, we are the architects of the homes for other species. Imagine if a zebra was in charge of designing your home. What if a snake built your office? The field of sensory ecology, which is the study of how organisms acquire, process, and respond to information from their environment, continues to grow. 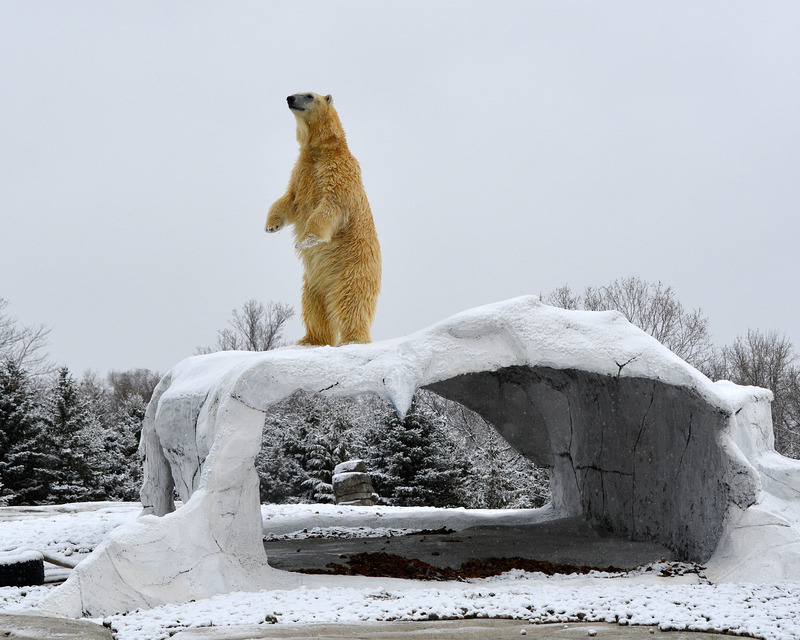 We use that information to help create habitats at the Detroit Zoo and Belle Isle Nature Center that provide animals with positive experiences. Additionally, we take the sensory perception of animals into consideration when we plan special events and construction projects, as sounds, sights and smells may impact individual animals. We also think about what animals live near each other. 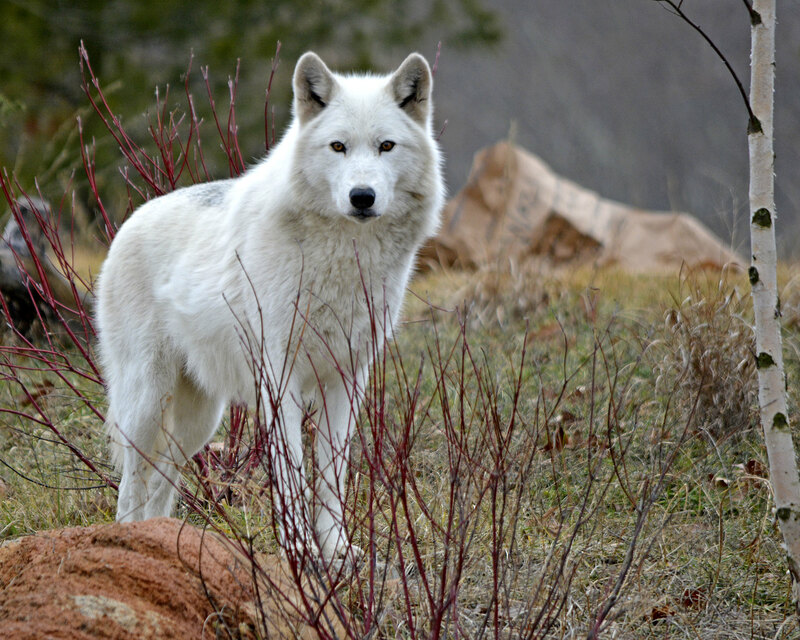 Can an animal feel threatened or positively stimulated by the sight, sound or smell of another species? In our own lives, we are aware of which sensations make our experiences positive and which don’t. We are often in control of those experiences, or we know they are temporary. Animals may not have those opportunities, and it is our responsibility to ensure we are creating positive experiences and minimizing our own contributions to impacts on welfare resulting from sensory inputs. Take a moment to think about the experiences of the animals who share your home with you. Is there room for improvement? If so, come up with ways to mitigate any negative sensory impacts. Also, take time to think about how the animals as the Zoo feel if people yell at them or create conditions that alters their ability to use their senses. Those of us who care for animals for a living have to be extremely sensitive to the ways animals perceive their environment. This important concept is part of what the Detroit Zoological Society’s Center for Zoo and Aquarium Animal Welfare and Ethics teaches each year during our workshops. 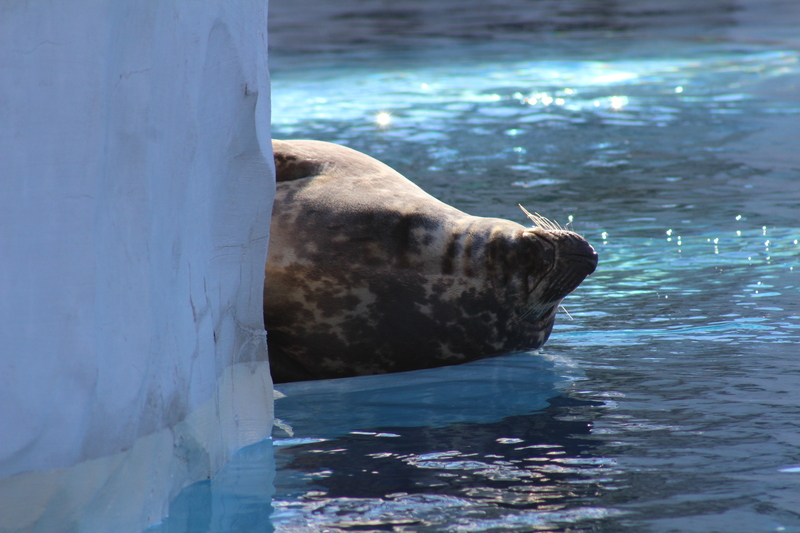 We immerse the participants in animal habitats in various ways in order to change our own human perspective. The understanding each person gains from these experiences is an invaluable part of their toolkit to further the welfare of every animal with whom they work and live. Do you know what it’s like to be a giant anteater? How about what the world looks and sounds like if you are an 18-foot tall giraffe? 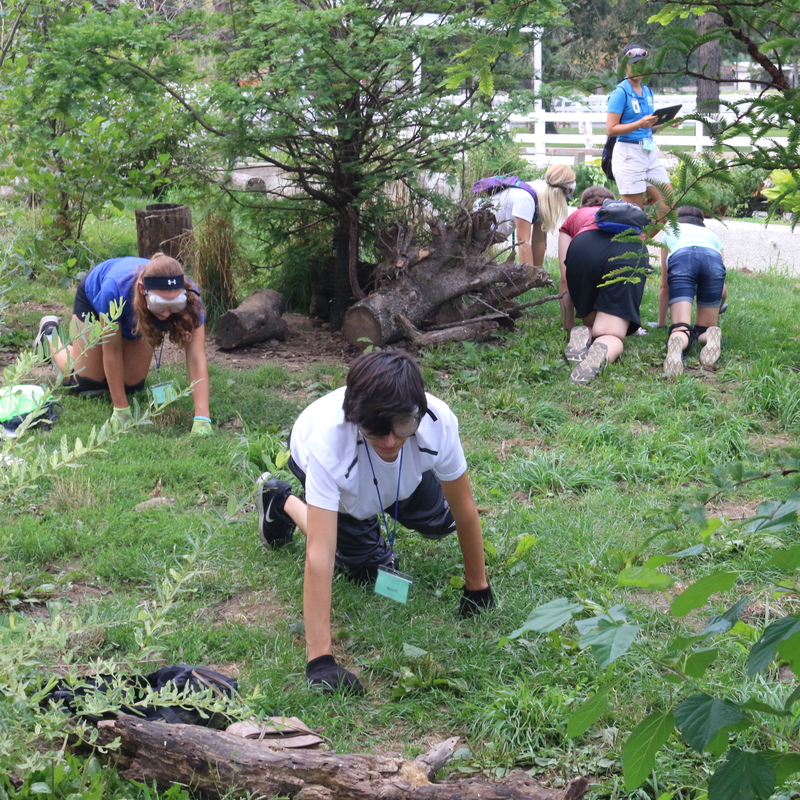 High school students taking part in the Detroit Zoological Society’s (DZS’s) animal welfare summer camps had the unique opportunity to experience just that. 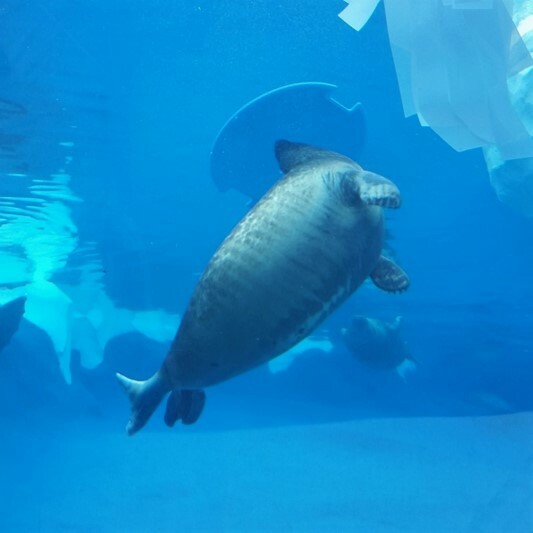 Over two weeks, 31 students participated in activities based on the Center for Zoo and Aquarium Animal Welfare and Ethics’ “From Good Care to Great Welfare” workshop, which annually draws professional animal care staff from around the world. The goal of these immersive exercises is for the students to better understand the world from the perspective of another species. What we pay attention to in our everyday lives is based on what is meaningful to us. When we make an effort to put ourselves in the place of another being (or as close to it as we can), we become aware of the factors that may impact them, even things we had never noticed before. 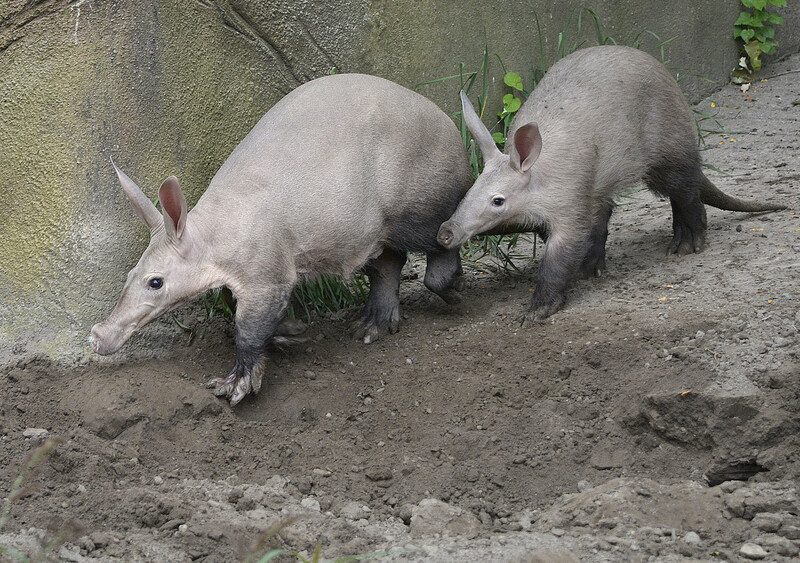 The students noted that when they were “anteaters”, they focused more on what they could hear and smell. When they were elevated to the height of Jabari, the male giraffe who lives at the Detroit Zoo, they could see the neighboring golf course. They wondered if that is an interesting thing for the giraffes to see. Not all humans like golf, but what do giraffes think of the view? Different species – and different individuals within a species – have different preferences, and we have to pay attention to that to ensure they experience great welfare. In addition to the immersive exercises, the students also studied the behavior of the two giant anteaters at the Zoo to better understand how they use their habitat and which environmental features they seemed to prefer. 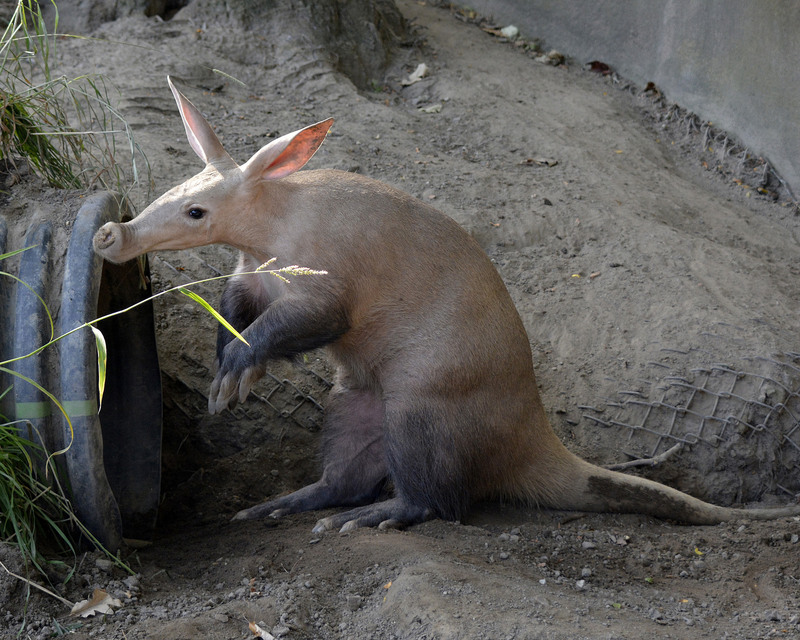 They used all of the knowledge they gained to design a new habitat for the anteaters as their final project. It was really impressive to see everything they incorporated into their models, and the reasons they gave for the choices they made. The students participated in a lot of other activities, including working with a staff member from the Humane Society of Huron Valley on positive reinforcement training with one of the amazing adoptable dogs from the shelter. DZS staff made videos documenting the camps, and it was so great to hear how the students are going to take this information with them and apply it to their own lives, including with the animals that share their homes. We had a great time working with everyone and sharing knowledge to inspire the next generation to be aware of and champions for animal welfare. 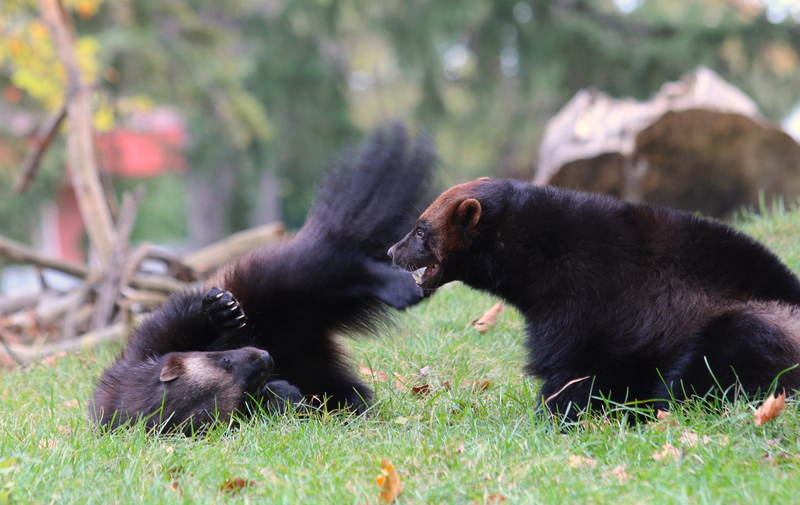 – Dr. Stephanie Allard is the director of animal welfare for the Detroit Zoological Society and the director of the Center for Zoo and Aquarium Animal Welfare and Ethics.